Nour Idriss, a recent NYFA Broadcast Journalism graduate, has been hired to work as a Broadcast Associate at the CBS Evening News. Nour came to NYFA to make a major career change. After being stranded in New York by the ongoing civil war in her homeland of Syria, she set out to “reinvent” herself as a broadcast journalist. Her goal was to learn skills that would allow her to be competitive in an always-challenging job environment. 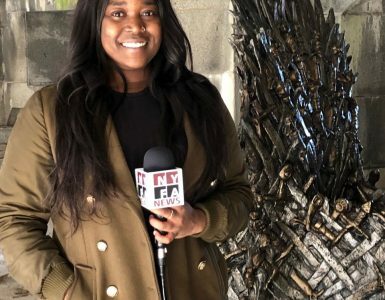 In addition to learning to report, shoot, write, narrate and edit, she also had the opportunity to network with the guest speakers who visit NYFA. In fact, it was one of those guests who encouraged Nour to apply for a job at CBS News. Congratulations to Nour on her new role at CBS News. We wish her nothing but the best of luck on her career as a broadcast journalist!